Shadow Of The Rockies | Northern Broadcasting System, Inc. 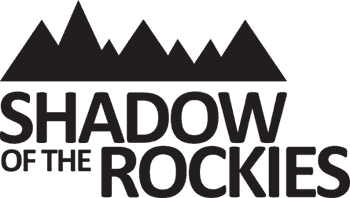 Shadow Of The Rockies – Northern Broadcasting System, Inc. When it comes to outdoor sports, the region served by the Northern Sports Network is one of the premier recreation capitals of the world! Every weekday afternoon NSN’s regular radio features Shadow of the Rockies explores Montana and Wyoming outdoor recreation, with “how-to” information, and tips on where to go and what to do, to get the most out of the outdoor west! Shadow of the Rockies covers the broad spectrum of outdoor recreation including downhill and cross-country skiing, snowmobiling, water sports, camping, equipment, tips and survival skills, outdoor sports medicine, and some of the more unusual outdoor activities of our region such as kayaking and sled dog racing. Recent studies from the U.S. Department of the Interior estimate that 36 million Americans actively participate in fishing and 14 million in hunting sports. The National Sporting Goods Association estimates 47 million individuals over 7 years of age actively participate in camping and 16 million in skiing…so it’s no wonder that annual sales of recreational goods and services exceed $300 Billion dollars a year! As Americans are living longer, they are enjoying more leisure time, and here in the west, that means more time out-of-doors! This program targets the individuals with the time and the money to enjoy outdoor life to it’s fullest. The host of the unique program, Erl Barsness, was raised in Minnesota and moved to Montana in 1964 to work for the Lolo National Forest in Missoula. His broadcast career dates back to 1960 and included several radio and television stations in Missoula, Helena, and Billings over the past three decades. He first joined the Northern Sports Network in 1976following a stint as Sports Director and later News Director for KULR Television in Billings. From 1976 to 1981 Erl Barsness produced the network’s popular radio program “The Outdoorsman”, heard on many stations across Montana and Wyoming, and later Erl anchored State News for the Northern News Network. As an avid hunter, Erl Barsness likes to pursue big game, as well as both upland birds and waterfowl. He is a member of the Billings Rod and Gun Club and has enjoyed raising and training his own retrievers. Not all his hunting is with a gun however, since Erl is an excellent professional photographer and specializes in scenic and outdoor photography. He has skied all his life and is an active member of the National Ski Patrol, for whom he is both an Instructor and a trainer in Outdoor Winter Emergency courses. Erl and his wife Ann live in Billings where they have raised two children to love and respect the outdoors. The nice thing about radio is that you can take it with you on your next outdoor adventure… so throw that walkman in your backpack… come along with Erl Barsness, and spend some time in the “Shadow of the Rockies”! Sign up for the Sports Newsletter!